Govt. Maharani Laxmi Bai Girls P.G. College Indore, Madhya Pradesh,Admission, Courses, Fees, Photos and Campus Video, Review, Ranking Details. Teach the students to explore their potential, believe in it and have determination to achieve it. For great heights can be achieved only through small steps.' 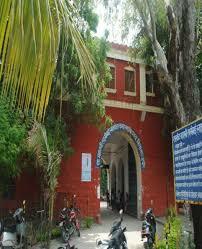 The college was started in 1963 to promote higher education among low income group & weaker sections of the society. Over the years, the college has emerged as a recognized educational center for women, offering Bachelor’s & Master’s degree in conventional & hi-tech subjects of Science, Home Science, Fine arts, Social Sciences, Commerce, Library Science, Business administration. Being a Women’s college it provides opportunities to them, to grow their intellect, self- confidence, leadership ability and sense of responsibility. The objectives are –To enhance and promote excellence in teaching and learning. : Govt. Maharani Laxmi Bai Girls P.G. College (formerly known as Govt. New Girls P.G.College ) is one of the prominent colleges in Indore situated in the Kila Bhavan ( the Fort)which has a glorious historical origin. The fort was constructed in 1860 by the Holkar State. The college which was established in 1963 and was shifted to the Fort in 1965 from a nearby school where it had been running since its inception. The college occupies an area of nearly 13 acres with a built up area of more than 50,000 sq. feet.